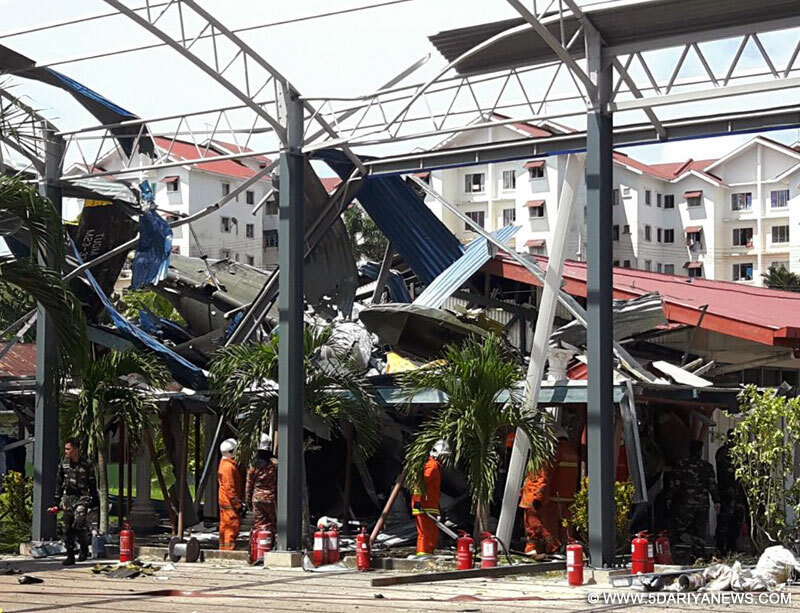 At least four students and several soldiers were wounded on Tuesday when a military transport helicopter crashed into a school building in the Malaysian state of Sabah.The Malaysian Defence Ministry said in a statement that the US-made Sikorsky aircraft had taken off around 07.30 a.m. and crashed some two hours later, EFE news reported.The helicopter clipped the roof of the main school building after it lost altitude and then crashed between the canteen and a hall building currently under construction within the school premises.District Police Chief Assistant Commissioner Fadil Marsus confirmed the crash. "The helicopter had 14 soldiers on board ... for the routine daily flight exercise," the statement added. It did not specify the exact location the helicopter took off from.